Anger is the second of the six infamous vices that inflict the mind of human beings, the other five being desire, greed, attachment, pride and jealousy. Swami has spoken at length about the ill effects of anger and the intense need to control one’s anger. He says, “In our daily lives, we know that when we become angry, our nerves become weak and feeble and we lose grip over ourselves. Even a moment of anger takes away our strength that we gather by eating good food for three months. Anger not only debilitates us and takes away the merit of our good deeds, but also enfeebles our condition.” (Summer Showers - 1972). Swami says, “Anger is the fuel for all varieties of sin. Just look at yourself in a mirror, when you are attacked by anger, and you will discover that you are then akin to Soorpanakha (sister of king Ravana and granddaughter of the demoness Thataki) or Lankini (a powerful demoness who guarded the city of Lanka) of ancient times. The Rajo guna that is over-powering you then is the Raakshasa (demon) trait you must learn to avoid” (23 November 1966). Spiritual aspirants, specifically, need to control anger. This post presents a compilation of various aspects of “Anger” expounded by Bhagawan in His Discourses. For ease of reading and understanding, it is presented in four parts. Part-I of the post starts with an introduction to anger and other related vices. It presents the need to eliminate anger from oneself. Part-II covers the various tips given by Bhagawan to control one’s anger. Part-III deals with anger in connection to the relationship between children and parents. The post ends with Part-IV that explains how God is beyond anger. Swami gives His own example to illustrate the need for patience and equanimity. He jokingly states that He does express anger at times, but it is nothing more than a modulation of voice with the pure intention of saving His devotees. 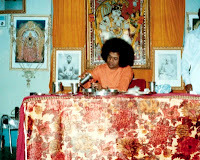 The four audio excerpts in Part-II of this posting have been taken from the Discourses delivered by Bhagawan during the years 1992, 1993 and 1996. Though there may be many overlaps in these extracts, all of them have been included for the purpose of comprehensiveness and also to avoid missing out certain significant points made by Bhagawan in each of them. 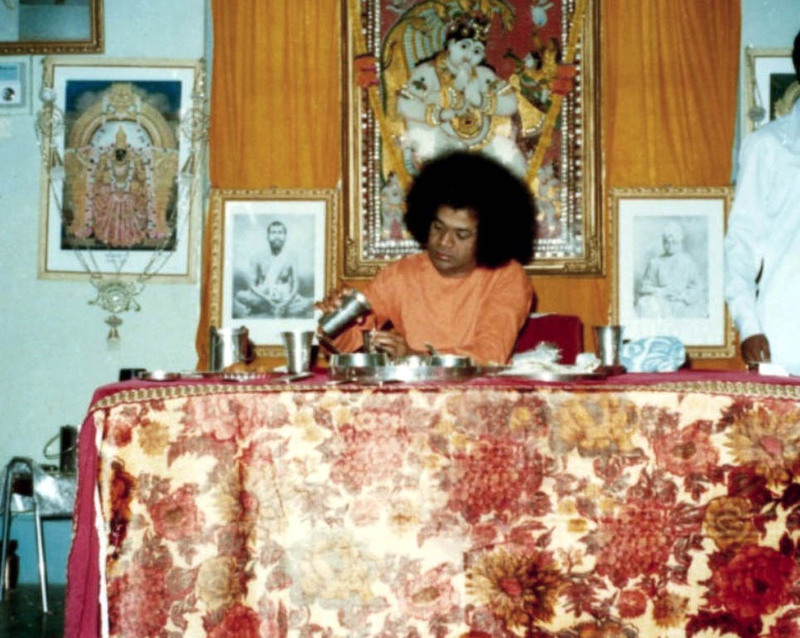 There are another four excerpts from the Discourses delivered by Bhagawan in the years 1972, 1985 and 1994 that have also been included in this part of the post, though their audio versions are not available, because of their great relevance to the topic being discussed. Clip-1 lucidly explains how one can face criticism without getting angry. Clip-2, Clip-3 and Clip-4 all delve upon simple and easy tips to exercise control over one’s temper. Extract-5 describes the ill effect that anger has on one’s health and well-being. 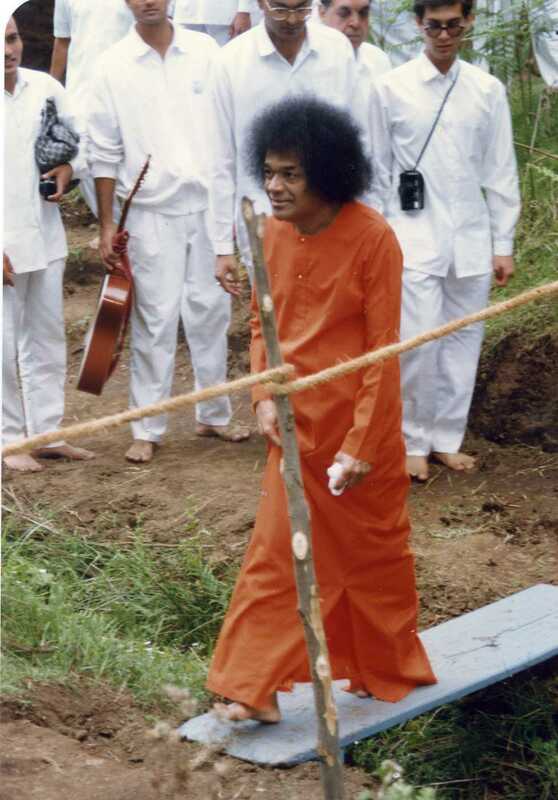 In Extract-6 Bhagawan states that virtue cannot be practiced in a vacuum. If you live in an atmosphere of anger and are able to control it, only then it is a meritorious achievement. In Extract-7 Bhagawan highlights the importance of repentance following a bout of anger, through the episode of Babu Rajendra Prasad, the first President of India and his servant Rathna. In Extract-8 Bhagawan narrates the story of how the virtue of humility and repentance fetched sage Viswamitra the title of Brahmarishi from sage Vasihta. Whenever there arises in you bad qualities like anger, jealousy or hatred, exercise restraint on it immediately, saying Chhee (an expression to indicate one’s disgust), these animal qualities must not arise in me. Here is a good example to illustrate this. Let us say somebody criticizes you and you get angry. Do not react as soon as you get angry. Enquire whether the defects pointed out by them exist in you or not. (Ask yourself) If those defects do exist in me, then is it not my mistake to get angry with them? And if the defects pointed out by them do not exist in me, then why should I get angry with them? When we enquire in this manner, the anger in us will subside. This will dissolve your anger! We may get angry at times. There may be turbulence in our heart. But we must make an effort to pacify these disturbances. Just because you get angry, you must not resort to any action immediately. When you get angry, there are very simple tips to cool your temper. Students, the moment you get angry, first leave that place immediately. This is the first step. Immediately leave the place (location) where you have got angry. Go in (to your room). Take a mirror and see your face. Looking at your face in anger, you yourself will feel miserable. Your face will look so ugly. It will look just like that of Soorpanakha (sister of king Ravana and granddaughter of the demoness Thataki). You will in fact get angry with your own anger. You will feel, “Chhee (an expression to indicate one’s disgust), I should never get angry”. If this is not possible for you or if this does not cool your temper, then go to the bathroom. Open the tap and allow the water to flow into the bucket. Take that sound as the shruti (pitch) and start singing a song. Sing the name of the Lord. As you sing the devotional song, your sin will vanish. As you sing, the sin will disappear! If your temper does not cool down still, then drink a glass of cool water. It is very likely that this will bring down your temper. But if it does not come down still, then walk briskly for half a furlong or one furlong (one furlong is approximately equal to one eight of a mile). These are all very simple tips to cool your temper. Our ancients kept their anger under control, in this manner. In those days, there were no pills or tablets for bringing down one’s anger. Today if people suffer from anxiety, they are given medicines which make them dull and intoxicated. We should not take all these pills. What is the pill that we must take? We must take the pill of the name of the Lord! Walk briskly and your anger comes down! We must never give in to anger, hatred, jealousy or pride, when it arises in us. At such times, we must sit silently for few minutes. When we get angry, we must not beat, scold or shout at anyone just as we like. To put this into practice, the first thing we must do is to leave that place (location where we get angry). 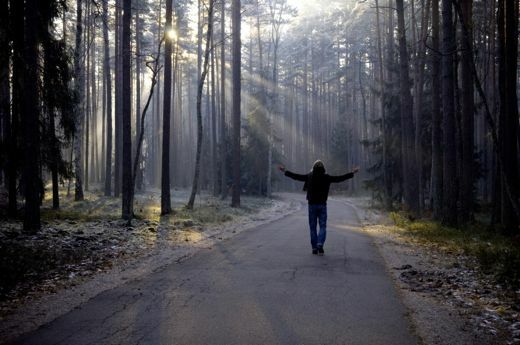 Walk for a furlong (one eight of a mile) or a mile in the open space outside where there is free flow of clean air. When you walk speedily, the blood circulation in the body also speeds up and brings down the anger in you. Easier than this is to look at yourself in a mirror when you get angry. You yourself will get disgusted! If not, laugh loudly to yourself. This will also help to bring your temper down. If this is also difficult for you, then go to the bathroom. Open the tap. Taking the sound of the flowing water as the svara (musical scale), start singing a song. Your anger will subside. Or drink a glass full of cold water. Sit down and peace will prevail on you. Therefore, when we get angry, we must take the path towards peace rather than adding anger to anger, which will only increase your temper. We should never retaliate with a word for a word and get into a debate. When we reduce our talk, our mental power increases; when our mental power increases, our power of discrimination increases; and when our power of discrimination increases, we will tend to use fundamental discrimination rather than individual discrimination. We should always use discrimination that is meant not just for you as an individual but is broad enough to include the entire world. From this young age itself, we must develop such good feelings. Drink a glass of cold water to cool your anger! Purva Mimamsa (Purva Mimamsa, written by Rishi Jaimini is one of the most important ancient Hindu philosophical texts. It forms the basis of Mimamsa, the earliest of the six orthodox schools (darshanas) of Indian philosophy) also teaches us the path of forbearance. The type of duty that man must engage himself in, at different points of time and the manner in which he should face the obstacles that come in the way of discharging his duty, is also taught by Purva Mimamsa. You may become sorrowful. But do not think too much about the sorrow. Think about happiness and the sorrow will go away. Such tips are also taught by it (Purva Mimamsa). You are subject to ignorance. Then enquire into the knowledge. You may get angry at times. Do not put it immediately into words and abuse the other person. You are angry with him. But what is the reason for this anger? Is it a mistake committed by the other person? Or is it God’s Will? If you start enquiring thus, the speed with which the anger gets into you will reduce. As soon as you get angry, get inside your room and drink a glass full of cold water. Sit down silently. Then the temper will cool down. It (Purva Mimamsa) preaches that this anger is a perversion and not your true form. When you get angry, go and stand in front of a mirror. You will feel disgusted looking at your own form and the anger will be pacified. You will wonder (at the fact) that this anger has taken such an ugly form. Thus, you must enquire within yourself and pacify your anger. When there are other agitations and worries in your mind, go out and walk speedily. When you walk speedily, on account of your blood circulation, your anger will be pacified. If you are fortunate to have the knowledge of music, go to the bathroom. Fill the bucket with water. The water will flow with a svara (musical scale). Make that as your basis and start singing a song. Let the song align with the svara. Enquire whether there is any difference between the svara of the pouring water and your song. In this thought, your anger will reduce. There are so many secrets, tips and solutions to pacify your anger in such a simple manner. But, today there are none to teach these secrets. Saint Jaimini taught all these ideals in Purva Mimamsa. Do not, however, stay near the person who has provoked your anger, because there is no limit to what anger may lead you to. 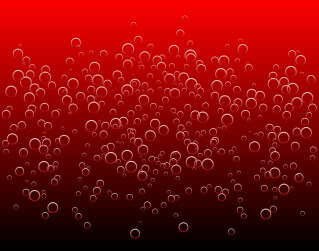 Owing to anger and agitation the blood gets heated up. It takes three months for the blood to cool down. Within that period, the nerves become weaker and even the blood cells get destroyed. Weakness is aggravated and the memory power is reduced. Old age sets in prematurely. Our ancients have given us sacred paths of yoga and dhyana to overcome evils and gain control over our senses. To control anger and hatred, the ancient sages left their villages and went to the forest. Today it is not necessary to retire to the forest to get rid of anger and hatred. Virtue cannot be practiced in a vacuum. If you live in an atmosphere of anger and are able to control it, then it is a meritorious achievement. But if you live in a forest where there is no room for anger and say that you have controlled your anger, it is not meaningful. You must, therefore, remain in the worldly surroundings where there is ample scope for the rising up of emotions of anger and hatred and then learn to control them. That will be a meritorious achievement. One who yields to anger is bound to suffer. 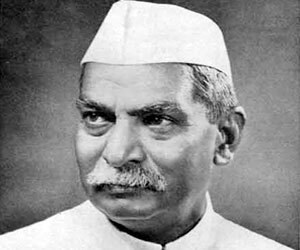 Let Me cite an incident from the life of Babu Rajendra Prasad, the first President of India. Rajendra Prasad had a very good servant by name Rathna who was exceptionally faithful and served him for a long time to the satisfaction of his master. One day he was asked to clean his room. Rajendra Prasad had kept a pen given to him by Mahatma Gandhi, in one of his books. When the servant was cleaning the table, the book fell down and the nib broke. He became nervous but told his master the truth, begging his pardon for his mistake. On hearing this, Rajendra Prasad shouted at him in rage and asked him to get out and not to show his face again as the pen which he had broken, was a highly valuable gift from the Mahatma. The servant then pleaded that he could not survive without him and sought his forgiveness. But Rajendra Prasad was in no mood to listen to him and went out bidding his servant to get out of his sight. During the night, Rajendra Prasad could not sleep as the memory of his having driven away his servant was haunting him. When he got up the next morning he missed his usual morning coffee, which Rathna would usually serve him. He reflected over his behaviour and felt sorry for having sent out such a faithful servant for no big fault. He realized that it was his own mistake to have kept the pen carelessly in a book instead of keeping it in a safe place. He sent word to Rathna and took him back seeking his pardon saying, “Rathna you are a good boy. It was my mistake to have kept the pen in the book. So you must excuse me for my rash action.” He asked him to continue to serve him till the end of his life. Anger comes from temper inside and one who yields to this bout of temper is bound to suffer. You should control anger and avoid talking or acting while in an angry mood. Anger is like an intoxicant. Internally, it induces us to do wrong things. This is the source of all the sins. It is a great demon. Anger leads us to commit all other sins. In the case of Viswamitra, we know that all the good he acquired by thapas (penance), was nullified by this one evil, anger. The merit he had accumulated through thapas undertaken for thousands of years was all lost in a moment of anger. We need not go as far as Viswamitra. In our daily lives, we know that when we become angry, our nerves become weak and feeble and we lose grip over ourselves. Even a moment of anger takes away our strength that we gather by eating good food for three months. Anger not only debilitates us and takes away the merit of our good deeds, but also enfeebles our condition. If we are able to control this anger, we shall be in a position to attain merit through the utterance of the Lord’s name. Vasishta attained the title of Brahmarishi and Viswamitra also wanted to attain the title of Brahmarishi. Even after years of thapas, he could not attain the same. Viswamitra became furious because even when the world honoured him with the appellation of Brahmarishi, Vasishta did not agree to call him so. Anger induced the thought in Viswamitra that if he eliminated Vasishta from the world, then everyone would honour him with the name of Brahmarishi. Once, on a moonlit night, Vasishta was describing to his pupils the qualities of Viswamitra. Viswamitra, who was hiding behind a bush with a sword in his hand to stab Vasishta, happened to hear the glowing tributes Vasishta was paying to him. Vasishta was not aware that Viswamitra was hiding behind the bush and in his normal manner was describing the good qualities of Viswamitra’s thapas, which he compared to the moonlight. This brought about a sudden transformation in Viswamitra. He began to repent in his mind his decision to kill Vasishta, who was such a great man and was talking about his fine qualities. He thought how bad he was when he entertained the thought of killing him. He felt that he must make amends and fell at the feet of Vasishta, expressing his repentance. He did so and Vasishta with a beautiful smile said, “Great Brahmarishi, wherefrom have you come?” When Vasishta addressed him thus, Viswamitra was surprised and felt quite repentant. We must recognize the truth underlying this episode. So long as there is the feeling of anger and ego in our hearts, we will not be able to feel well in our life and will feel sick in our mind. One’s anger is one’s greatest enemy and one’s calmness is one’s protection. One’s joy is one’s heaven and one’s sorrow is one’s hell. He who is possessed by anger will be hated by people because he will commit a number of bad deeds. Anger leads to many great sins. First we must endeavour to control this emotion of anger. Sometimes, ego also enters the feeling of anger. The prestige of an individual is sometimes undermined by one’s own wealth and one’s pride in wealth. One’s wealth creates a kind of barrier between him and his kith and kin. People lose everything and are exposed to great suffering because of their anger. 01-What should be the correct response when somebody criticizes us? 02-What are the eight and odd simple tips that Bhagawan gives us for exercising control over our anger? 03-How does reduction of talk lead to fundamental discrimination? 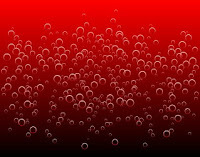 04-How long does it take for the blood that gets heated up during bouts of anger, to cool down? What other problems set in during this period? 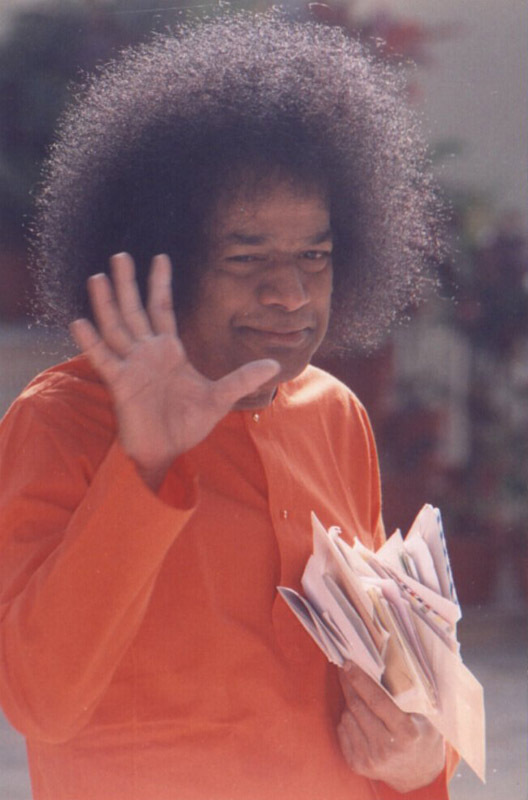 05- Bhagawan says, “Virtue cannot be practiced in a vacuum”. What does He mean by this? Explain with respect to control of anger. 06-What lesson do we learn about control of anger, from the episode of Babu Rajendra Prasad, the first President of India and his servant Rathna? 07-How does Bhagawan quantify the strength that we lose from our body when we get angry? 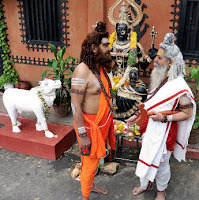 08-What lesson related to control of anger, do we learn from the episode of sage Viswamitra aspiring to be called as Brahmarishi by sage Vasishta? Anger is one of the most misunderstood and overused of human emotions. Anger is a natural emotion that every human and many non-human animals experience. We need to understand that anger is a reaction to an inner emotion and not a planned action.Anger management is a procedure of acquiring the skills to recognize signs that you are becoming angry, and taking action to deal with the situation in a positive way. In the past I had thought that Baba's messages are simple (rather simplistic). As I go through life's ups and downs, sailing through storms of desire, adventures of material pursuits and self-interests with the naivete of a 'kid lost in a candy store' - and wanting to 'have it all', I keep failing miserably and falling flat many a times. It's at these moments of anguish and despair that I re-visit the messages. That's when I realize that while the message delivery looks (deceptively) simple, there is a certain directness, practicality and profoundness in these message that lends itself for easy understanding and adherence. I realize now that what's most important is not the message or the messenger but the maturity and capacity of the receiver. Your blog is helpful and informative. Thanks for sharing a nice post about Anger Management. Know more Click on Anger Management here. the happiness they long for. Together, we can find healing and lasting happiness. I have dedicated myself to helping adults and children through some of life's toughest struggles to achieve fulfillment and empowerment. I hold experience, expertise and unwavering dedication to addressing a wide range of areas. With my help, you will break away from what binds you and excel beyond your expectations.